Self-determination theory posits autonomy as a basic need that fuels intrinsic motivation. Thus, we consider it an important characteristic of intrinsically enjoyable tasks, including games. We often say that game playing is a voluntary activity. However, when we think about serious games or gamification, there is a risk that the seriousness of the context and the obligation to interact with the system may thwart the user’s autonomy. 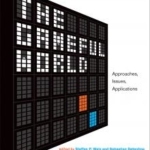 Several gamification scholars and designers have pointed out that good gamification must be voluntary, i.e., that people must engage with the gameful system voluntarily. But what are the factors that influence the user’s perception of autonomy when interacting with a system? We often talk about how the system’s design can support autonomy, but what about the role of the context? Is autonomy thwarted when one plays a serious game or interacts with a gameful application in a context where they are expected to achieve some measurable outcome? Gamification scholar Sebastian Deterding set out to conduct an empirical investigation on how the situational context of video game play affects autonomy experience and reported his findings at CHI 2016. To investigate this matter, researchers interviewed 19 adult gamers who engaged both in leisure gameplay and gameplay as work, i.e., professional e-sports athletes in tournaments or training, game journalists playing to write game reviews, and game designers and researchers playing games to analyze them. Then, they noted the factors that supported or thwarted participants’ autonomy in each context to generate a theory on contextual autonomy support in video game play. As expected, participants reported usually feeling more autonomous when they were playing for leisure than when they were playing for work. It is interesting to note that some participants reported that playing games as work do not “feel as play”, they feel they are “working” and not “playing”. Additionally, the paper proposes a new theory of which factors contribute to support (or thwart) the player’s autonomy. 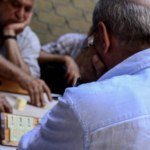 In leisure contexts, players can often decide when they want to begin or stop playing. At work, usually, there are job goals that must be met and that thwart this autonomy. For example, an e-sports athlete must compete when the tournament is scheduled; a game journalist might have a deadline to write a review and, thus, might feel the need to play a particular game to review it. In leisure contexts, in additional to choosing when to play, players are also often free to choose which games they want to play. At work, this freedom is often absent. For example, e-sports athletes or game designers must often train or test the same game over and over again; game journalists might have a specific list of games to review that might not correspond to their preferred genre. In addition to choosing what and when to play, leisure contexts usually offer more autonomy in choosing how to play. When playing as work, the instrumental goals of the activity might require players to adopt specific play styles. For example, when playing in a competitive team, one might be required to adopt a particular play style or role to contribute to the success of the team. 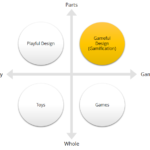 Game designers or journalists may need to adopt specific playing goals (e.g., systematic exploring the whole play space) that might not correspond to their preferences. Game playing feels more autonomous when the player is shielded from external obligations that conflict with the intrinsic motivation to play. 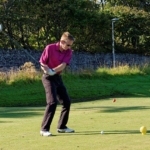 For example, adult players are often limited in the time they can dedicate to game playing due to the need to fulfil their obligations. The space where play occurs also affects perceived autonomy. For example, when playing casual games in public spaces, the player might feel compelled to hide the emotions resulting from gameplay to conform to social norms of public behaviour. Autonomy is thwarted when negative consequences are attached to play. This happens more often for play as work than for leisure. For example, e-sport athletes may suffer negative consequences if they do not show up for a tournament or if they perform poorly. Game designers or journalists might suffer negative consequences if they fail to provide a timely report or review. Another important finding is that perceived autonomy was not a result or the context or obligation per se, but a combination of the context with how the individual perceives it. This is in accordance with self-determination theory. For example, if a player is obligated to play because of work, but they still feel intrinsically motivated to play and they enjoy playing, or they acknowledge that this obligation is a result of their decision to adopt that line of work, this feeling may surpass the perceived loss of autonomy. 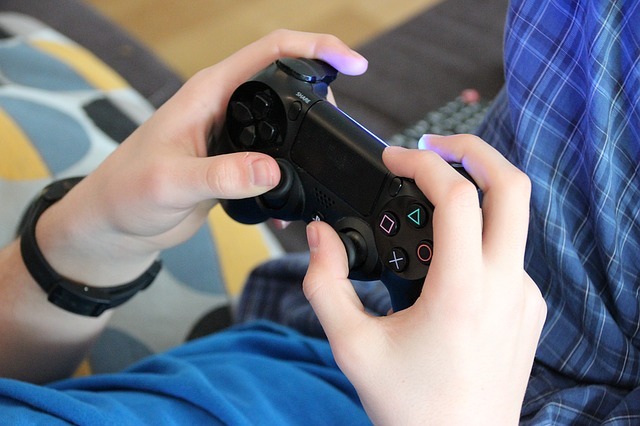 Finally, the research also revealed that the factors that might result in a perceived loss of autonomy can often occur in leisure gameplay, although perhaps not as often as in work gameplay. For example, when a player joins a guild or team in multiplayer games, they might have to adhere to the team’s schedule. Some multiplayer games (e.g. MMORPGs, MOBAs, competitive FPSs) require groups of several players to agree on a time to play together and everybody must stay until the end of the section. Thus, the autonomy to choose when to begin and stop playing is reduced. When playing in a team, even just for leisure, one might also be required by the team to play specific games and to perform specific roles to make the activity possible. The possibility of being inflicted with negative consequences might also be increased in a team, even if playing just for leisure. For example, failing to show up for a scheduled raid might result in negative social consequences for the player (failing to meet the team’s expectations). 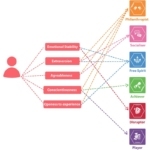 Integrated model of contextual autonomy support in leisure play contexts. © Sebastian Deterding, 2016. The author points out that non-autonomous play is an everyday occurrence in multiplayer games, as players lose part of their freedom to choose what, when, and how to play. Although multiplayer games can offer a better experience of social facilitation, presence, and relatedness, they at the same time reduce the player’s autonomy. Thus, players experience more autonomy in solitary than social play. One suggested design implication is trying to adjust the multiplayer aspects of a game to support autonomy, e.g., by letting players regulate the size of gameplay sections or by making it easier to form groups to play with. Another implication is that playing in public, for example in mobile phones, can be less autonomous because players have to self-regulate attention and emotion display to conform to public appearance norms. This needs to be considered by designers of mobile games or public playing spaces. 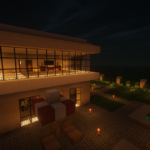 Although the study did not ask participants about serious games or gamified applications, the author discusses some implications of his findings for these applications. First, it is clear that obligatory contexts (such as work or schooling) lack a relaxed temporal and spatial field to play. Moreover, if interacting with the game or system is obligatory, players or users might have limited freedom to decide when and how to engage with it, thus thwarting autonomy. On the other hand, the author argues that autonomy is undermined in gamification when the consequences make users feel coerced to interact with the system against their inclination. This means that it is not the mere presence of goals or progress feedback mechanics (e.g. points or badges) that make users feel controlled. The system is only perceived as controlling if progression is linked to material consequences (such as money, rewards, grades, etc.). Therefore, the researcher concludes that serious games and gamification in non-leisure contexts face the challenge of reduced autonomy; however, this challenge can be minimized if the system is designed in a way that fits the user’s spontaneous inclinations, generates intrinsic enjoyment, or is actively endorsed by the user. Original publication: Sebastian Deterding. Contextual Autonomy Support in Video Game Play: A Grounded Theory. CHI’16, ACM, 2016.